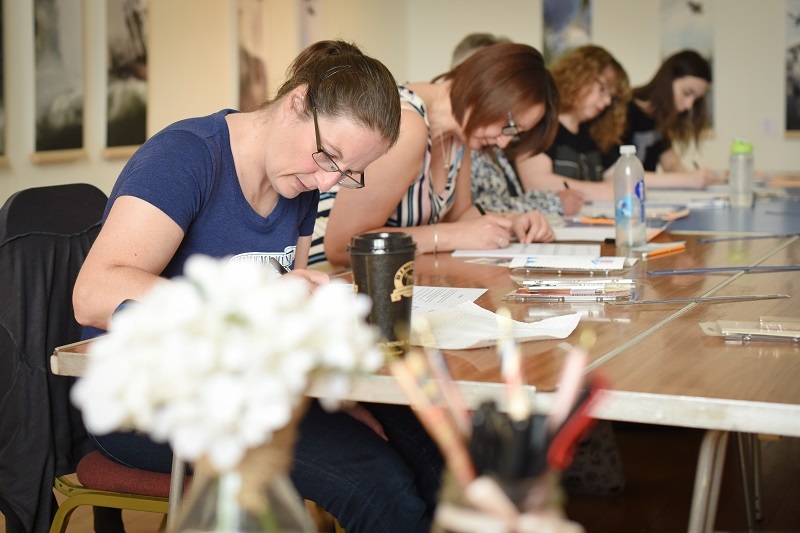 If you would like to give calligraphy a go yourself, come along to a workshop, or get a group of friends together at a time and venue to suit you! We are also happy to offer workshops for community groups and schools. Check out our gallery page to see what we do at a workshop. Simply get in touch to discuss your requirements, or see which events we've got coming up below. Copperplate is a traditional calligraphy script that forms the basis for more modern calligraphy styles. Join us for a workshop in which you will learn how to control a pointed nib before using it to form beautiful letters and words with a dip pen and ink. All materials will be provided and the ticket price also includes refreshments. Places are limited and a £10 non-refundable deposit is required upon booking, either in person at Re-Create Today or via PayPal to info@creative-calligraphy.co.uk.